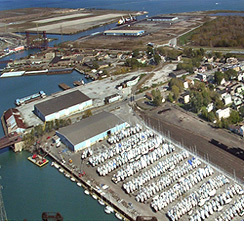 Welcome to Sailboat Sales Co., Chicago's largest and oldest yacht brokerage, associated with Crowley's Yacht Yard - Chicago's finest full-service boatyard. As a result, we provide a comprehensive approach to selecting and outfitting your new yacht. Looking to buy a used boat? Sailboat Sales Co. is proud to offer an extensive selection of used boats for sale in Chicago, Illinois, Lake Michigan, the Great Lakes, and the USA. Start shopping for a sailboat or a powerboat today! Looking to sell your boat and move up? Now is the right time to list. Let Sailboat Sales Co. assist you in finding a buyer for your boat. Call (773) 221-8880 to get started today. All Rights Reserved, ©1996 - 2019 Sailboat Sales Co.